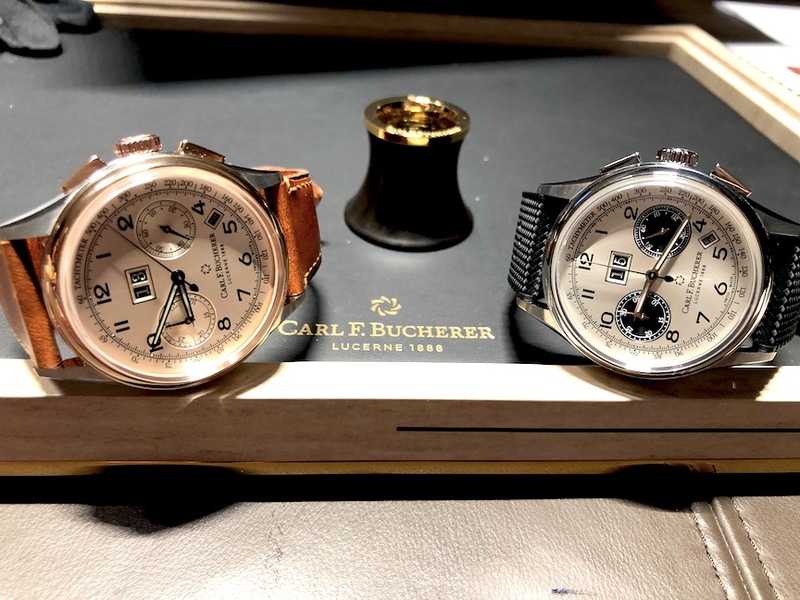 Carl F. Bucherer Heritage BiCompax Annual Calendar as unveiled at Baselworld 2019. 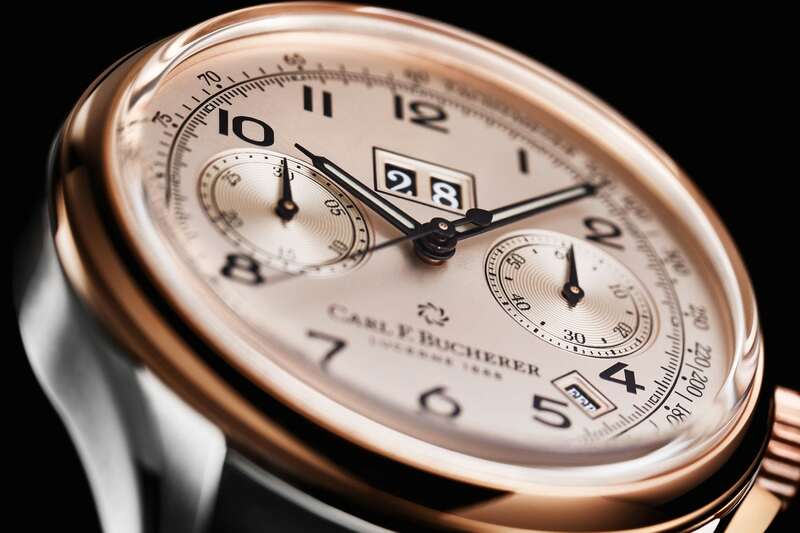 Swiss independent watch brand Carl F. Bucherer has a lot going on in its product repertoire this year. It was just late last year that the brand unveiled its new Heritage collection — showcasing a masterful Tourbillon Double Peripheral watch with a masterful engraving of Lucerne (the brand’s home town) on the case back. Now, to further its Heritage series, Carl F. Bucherer releases an all-new limited edition calendar watch, the Heritage Bicompax Annual Calendar. Here, we go hands-on with the watch, which is slated to make its way to markets around the world later this year. To begin with, there are two versions being offered. One is crafted in two-tone stainless steel and the other is a solid stainless steel. Both are mesmerizing thanks to the very distinctive dials. The stainless steel model features a silvered dial with black panda sundials at 3 o’clock and 9 o’clock. The steel-and-gold version features steel case and lugs with rose gold bezel, pushers and crowns. 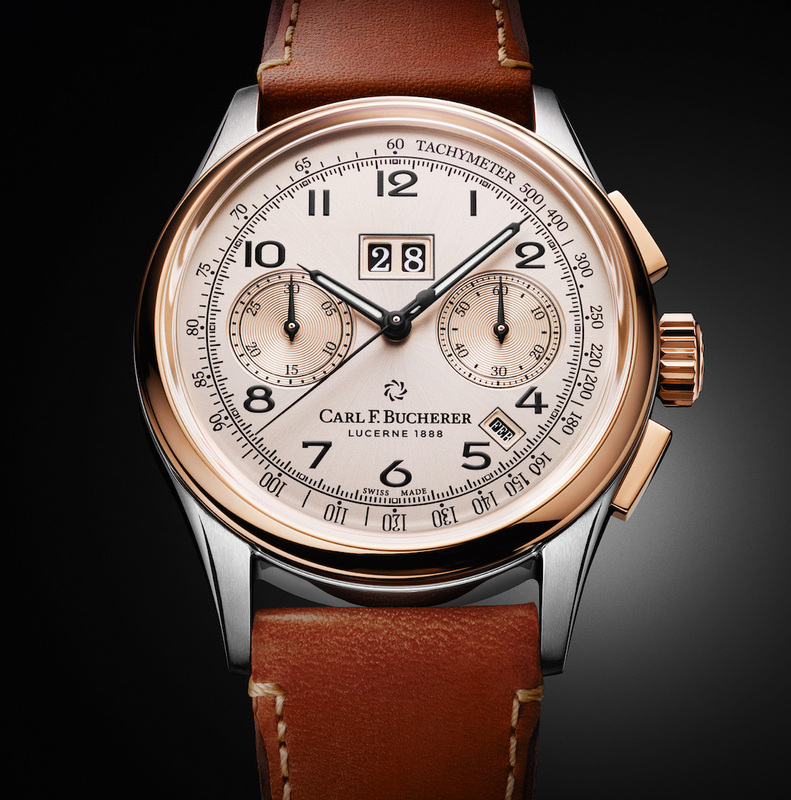 The rose-colored champagne dial features color-coordinated subsidiary dials. The date is indicated at 12 o’clock and the small month display is beneath the 4 o’clock numeral. A stunning outer minute track is added to the dial, as is a tachymeter registry. Thanks to the stylized Arabic numerals, as well as the clean look of the dials, the watches are incredibly spot-on when it comes to vintage attitude. The two-tone version — my personal favorite– is finished with a caramel colored leather strap — adding to the retro feel. The stainless version is finished with a black rubber strap for a more sporty look. The 41mm watch houses an automatic movement (CFB Caliber 1972) with 42 hours of power reserve. 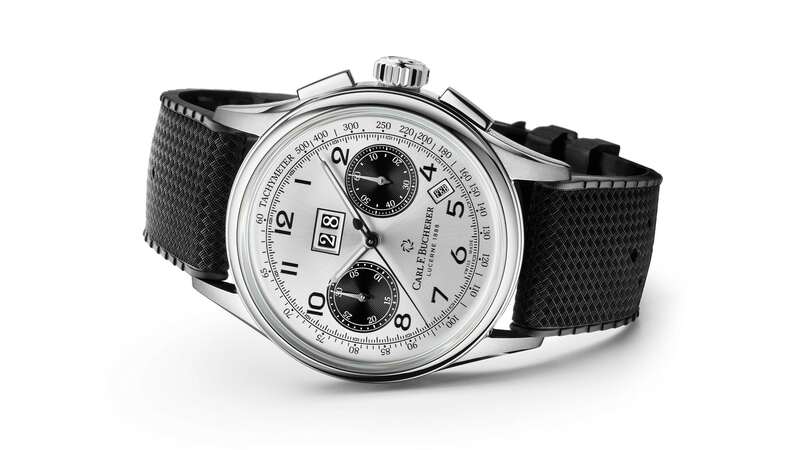 Inspired by a vintage piece found in the Carl F. Bucherer archives, the new watch offers annual calendar, chronograph (with 30-minute totalizer), a big date aperture, and month display, as well as the hours, minutes and seconds. Just 888 pieces will be made in honor of the heritage of the brand, which was founded in 1888. The steel version is a veritable steal at $7,200, and the two-tone model retails for a cool $11,000. Carl F. Bucherer Heritage BiCompax Annual Calendar in two-tone or stainless steel. Movement: Automatic CFB 1972, Hours, minutes, seconds, chronograph with 30-minute totalizer, annual calendar, big date display, month display, tachymeter scale, minute rail. 30mm x 7.3mm, 42 hours of power reserve. Price: stainless steel, $7,200; two tone: $11,000.